If you have already have a fishing boat of any kind, you probably already have a trolling motor. But if you just purchased a boat, you might be trying to decide what type of motor to get. There are many different types and depending on what type of boat you have will depend on what type and size trolling motor you want. Almost any type of boat can accept trolling motors but the most common are bass boats, pontoons, john boats and even kayaks. We are going to go over the two main types of motors used for fresh water. Transom mount trolling motors themselves come in a couple different options. These include motors with steering handle,foot controls and even remote control you can wear like a watch. The option you choose is a up to you and how much money you want to spend. The transom mount attaches to the back (stern) of your boat. They are easy to install and will fit most any boat but you will need to look at a couple things. First, you need to make sure the thrust pounds is the right selection for your boat. Below is a chart to help you choose the correct thrust motor for your boat. Next you want to make sure that the shaft length is long enough. You want the propeller at least 9 inches under the water but not too deep where you might ground out in shallower water. 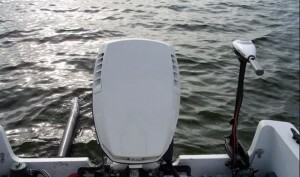 As mentioned above, there are three main styles when getting transom mount trolling motors. The first is the basic style that has a handle for steering. The handle usually rotates to select power. Some extend out for better reach. The next style is foot controlled. The motor mounts the same way as the basic style but comes with a foot control to steer with. 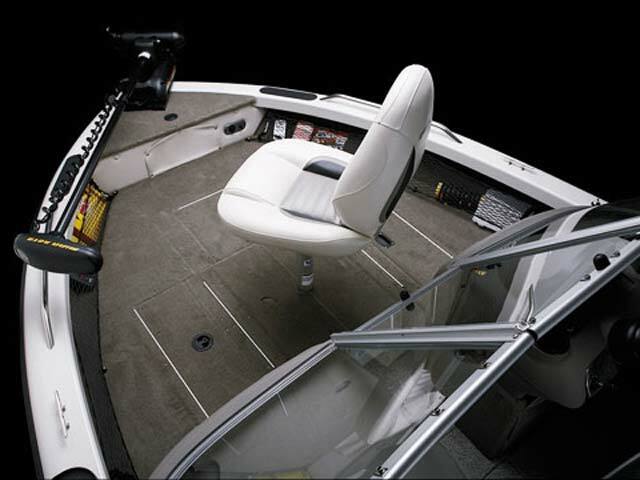 You can sit in your seat and control the boat with your foot as you are fishing. These usually cost more but you get convenience out of it. The last is the remote control. I seen this for the first time while on a stripe bass fishing trip in Kentucky. The remote was worn like a watch and you can program it to kick on, time based or engage through the controls. This option is usually on the higher end models. These type of trolling motors can be used on any type of boat but recommended for john boats, kayaks or other small type boats. Bow mount trolling motors are a little different set up. This type of motor mounts to the front on your boat (bow). 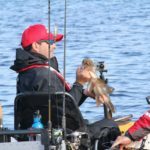 Though Transom motors can be easier installed, experienced sportsmen seem to like the bow mount as most are sitting in the front of the boat while fishing. You can get remote controlled bow mount motors but you will be paying a premium price. Like the transom mount above, you want to make sure on the length of the shaft and make sure the one you select has enough thrust for your boat. Bow mount motors are lowered into the water when used and pulled up when finished. 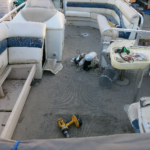 They do not install as easy as transom motors and are usually a fixed part of your boat. There are other types of trolling motors available like ones that mount under your boat and larger ones made for trolling. The above two are the most common types that people buy to use. 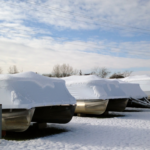 No matter which one you select, it is important to pick the one that fits your boat type. For small boats, I would recommend transom mounts, for bass boats and larger, I would suggest a bow mount. Picking the correct one will give you years of enjoyment out on the waters. Now lets talk about some of the brands that can be found on the market. There are two brands that stick out the most. 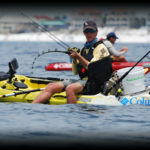 Minn Kota is one of the most known brands on the market. This is because you can find a trolling motor in about any price range. You can find this brand at you local stores like WalMart, BassPro and online like places like Amazon. They are well known and a good choice. MotorGuide is another brand carried at places like Cabelas and other outdoor stores. They are also well made and work just fine. Both brands are great and I have used both at some point of my life. I would recommend either. What type do you have and what do you think about it? Share it in the comments below. 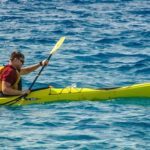 How long should a Kayak Paddle be?